Meghan Daniel’s living room walls are covered in artwork, most of which she had framed locally at FW Gallery. She estimates she has more than 30 plants scattered around the house. Since she has a young daughter and three dogs, Daniel opts for budget-friendly rugs. This distressed pink area rug is from Well Woven Rugs. The green loveseat is by Article. 225 Spaces & Places is an annual publication about creating your dream home in the Baton Rouge area. 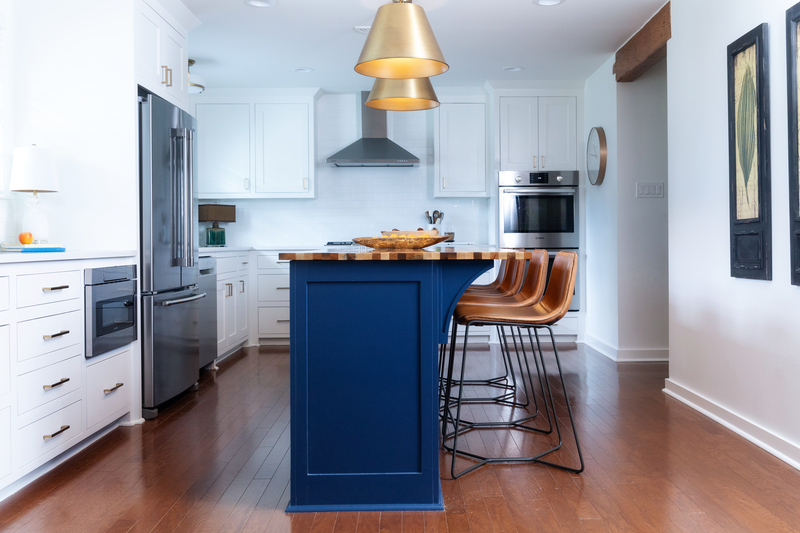 Each spring, we examine the latest interior design trends, get tips from the pros, check out makeovers of local houses, and showcase inspiring residences. Find the 2019 issue on newsstands in mid April. You can also read it below, or check out previous editions at the bottom of the page. 225 Extra‘s Spaces & Places is an annual guide to making your home more functional, comfortable and stylish. Released on regular 225 newsstands each spring, the magazine is a collection of before and after home stories, inspiring spaces and how-tos ranging from real estate to renovations. Flip through our issues below. And be sure to watch for the publication on newsstands each year.